The decline of some regional English dialects has been mourned for years but now sign language is being hit by the same trend. Researchers say regional variations that produced 22 different ways of signing the word "purple" are dying out. From the Queen's English to Geordie, Mancunian and Scouse, England has always been known for its wide variety of dialects. However, the changing use of language is not just limited to verbal English speakers, who may lament the loss of old words and the inclusion of new ones such as "selfie" in the Oxford English Dictionary. Regional variation in signing can also be vast - with some deaf people admitting it has left them struggling to work out what others are telling them. However that diversity is increasingly under threat, according to researchers at the Deafness Cognition and Language Research Centre (DCAL) at University College London. Reasons for this include more standardised teaching of British Sign Language, enhanced by the closure of some deaf schools, the influence of television and the internet and the fact people are moving around the country - and the world - more readily. Researchers say that those "into signing" can tell what part of the country someone is from depending on how they sign certain words. Just like in speaking regional dialects, where somebody may call a bread roll a bap, barm or cob, depending on where they grew up, the vocabulary of BSL can differ depending on your region. When signs start disappearing... who will keep those variations alive? Partially deaf Charlie Swinbourne, editor of deaf blog website The Limping Chicken, said: "When you see two people signing and they stumble upon a word which is very different, they will probably understand the word even though they haven't seen the sign before, but stop and say 'oh what's that sign?'. "They'll have a laugh about it, and it is something people are interested in, and it is something that is positive. "The funny thing is when you have got people who are maybe new to signing, for them it is really, really tricky, and you become quite aware that it is something quite unusual." Now a study of how BSL is evolving has found that although local dialects still exist, these variations are being used less. Lead researcher Dr Kearsy Cormier said: "Some regional signs appear to be in decline, as younger people are using them less, with some rarely used at all. "The variation is at the level of vocabulary rather than accent or grammar, and similar examples in English would be plimsolls, daps, sannies, gutties, or pumps for canvas shoes. "Most of the variations are quite pronounced, but despite the differences, they do not seem to affect understanding and context usually helps to disambiguate meanings." Researchers filmed almost 250 deaf people using BSL from eight cities across the UK. They looked at vocabulary for different concepts including colours, countries, UK place names and the numerals one to 20. They found a shift was taking place in the signs used by different generations, as younger people abandoned the traditional regional signs that were still in use by older signers. But despite the decline in regional variation Dr Cormier said there is no one variety that has become more prominent than any other. "It is not one overall variant that is overtaking. The overall variation is reducing but not in favour of one area or another, there is no particular variety that is really 'standard'." One reason that regional variation may be in decline is because of the different way deaf children have learned BSL over the generations. "In the past, different varieties of BSL developed separately in the schools for deaf children that used to exist across the country," Dr Cormier said. "The recent closure of deaf schools may have contributed to the reduction in BSL variation, as deaf children are now more dispersed and are more typically mainstreamed alongside children who are not deaf." Television, telecommunications and the internet may also be playing their part, just as they have done with the English language. "As the use of sign language in television programmes and on the internet has increased, deaf people have been exposed to signs in wider use, possibly leading to a loss of local dialects," Dr Cormier added. Mr Swinbourne said: "Regional variation is something that is part of the richness of the culture and how the language has developed and it is a special thing. "When signs start disappearing, or people get older or stop using them, there is a sense of who will keep those variations alive? "You feel like it could all change quite quickly and there are people who do try to keep it alive." 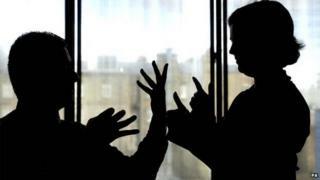 Paul Redfern, from the British Deaf Association, said while some people could be very proud of their regional variations, there were others who "don't really care". "Certainly there may be some people who will see the homogeneity of language as a shame, but there are some people that will embrace it and see it as some kind of challenge. "The vast majority of people probably don't really think about it, because it is language, and it is a living language, it is not dead or frozen, and languages change and languages reflect what is happening to you in a contemporary sense." Whatever the reason for its decline, it is clear that British Sign Language is undergoing rapid changes, and some among the deaf community may be concerned about the loss of their traditional signs. "Quite a lot of deaf people are proud of their regional variations, and would see it as a shame if they were lost. However, the data we have collected will be recorded for long term preservation so these signs are not forgotten," Dr Cormier concluded. See Hear: Are deaf people being let down in hospitals? See Hear: To sign or to speak?